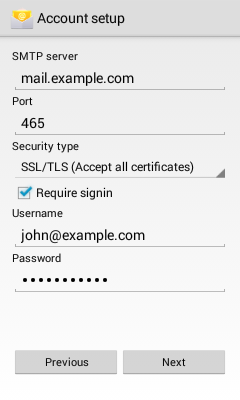 This article will show you how to setup email on an Android device running the KitKat OS or earlier. 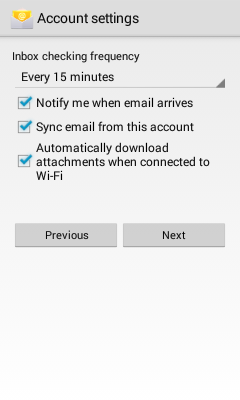 If you have an newer Android device that uses the Gmail app, follow these instructions instead. 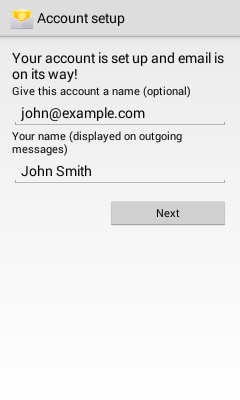 IMAP will store the emails on the server and show a cached copy on your phone. IMAP server: This is your domain name preceded by "mail." like mail.example.com. 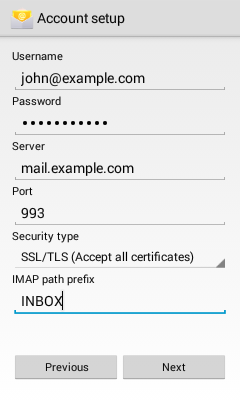 IMAP path prefix: Please enter INBOX. This will allow you to store your Sent, Drafts and Deleted emails on the server. SMTP server: This is your domain name preceded by "mail." like mail.example.com.